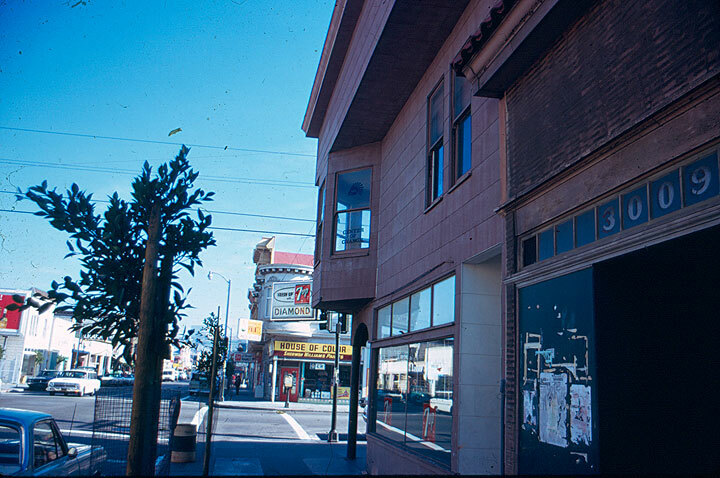 Centro de Cambio at 24th and Harrison circa early 1970s. 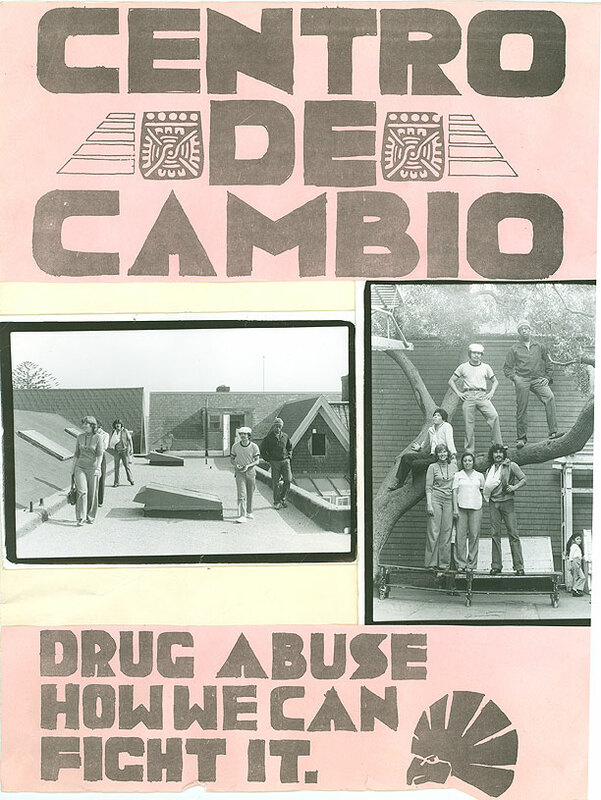 Centro de Cambio was an outpatient drug treatment program founded by Gene Royal, operating for several years serving the youth and families of the Mission. Promotional flyer for Centro de Cambio. 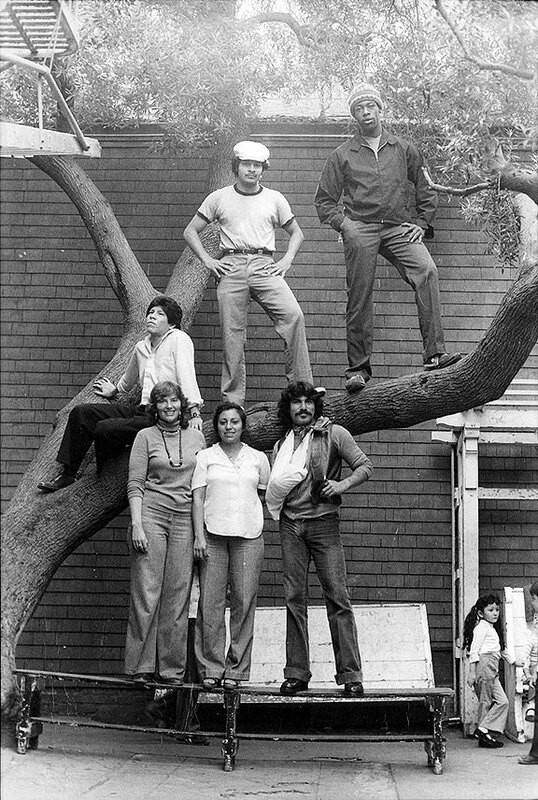 Nina Serrano and friends in tree behind Centro de Cambio, mid-1970s. 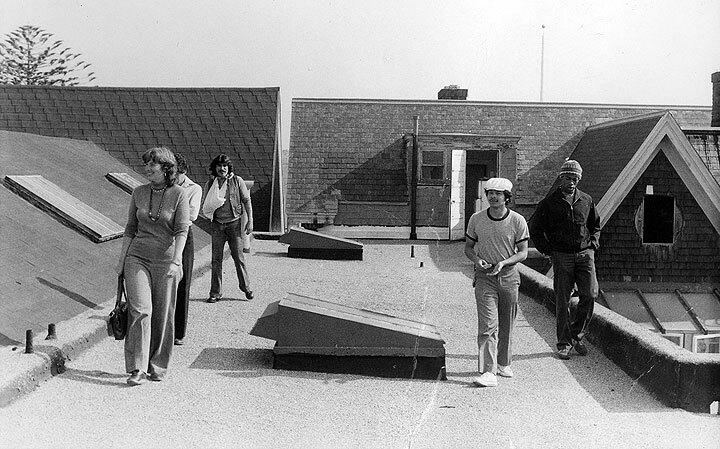 On the roof at Centro de Cambio.